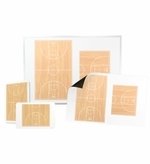 Our premium American made sports dry erase boards are a coach's favorite. 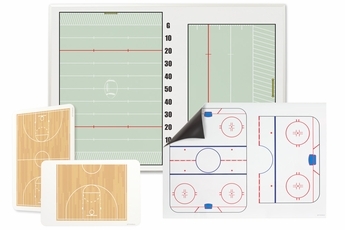 Because our boards are made with the best dry erase materials these boards will last season after season. 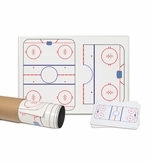 We wouldn't expect you to buy your sports equipment from a whiteboard company so why would you by a dry erase board from a sporting goods store? 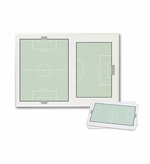 We have an options whether you want to use these on the sidelines or in the locker room. 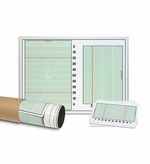 Choose from handheld boards, wall mounted boards or our roll-up magnets. Don't see your sport listed? Like to add your team colors or logo? give us a call at 1-866-366-1500 and we'll make it for you as we have for many schools and coaches before you.